Hey Patrick, good question. Un-weighting the bat just means the hitter is using forward movement to get the swing started. 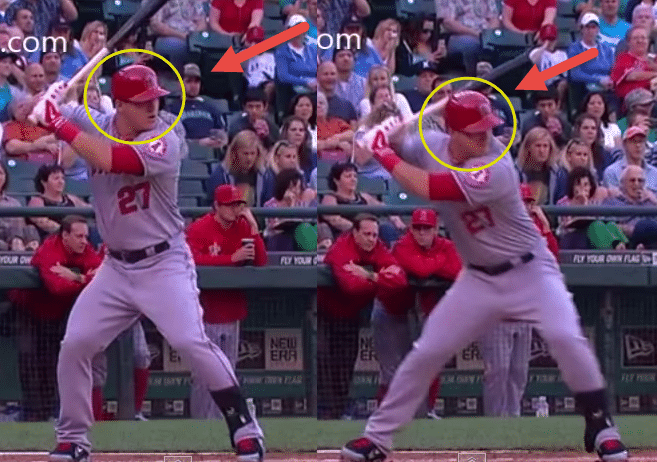 So yes, Trout is un-weighting about when the pitcher starts his forward arm movement. I don’t teach my hitters to do pre-pitch barrel movement because they often get themselves into trouble trying to get the barrel back to the optimal angle at the Fight (landing) Position. Hamilton does this, and so did Ruth. But pre-pitch barrel movement isn’t necessary to un-weight the bat. Thanks Joey, I was thinking along the lines of Ted Williams notion of unweighted the bat, but I agree that unweighting the bat can/does happen regardless of bat angle. I enjoy your analysis.